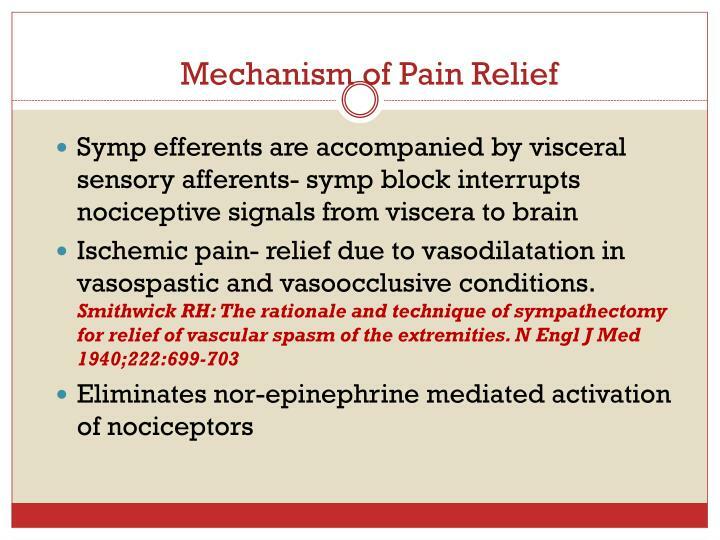 Lumbar Sympathetic Block is an injection of local anesthetic in the "sympathetic nerve tissue" - the nerves which are a part of Sympatheic Nervous System. 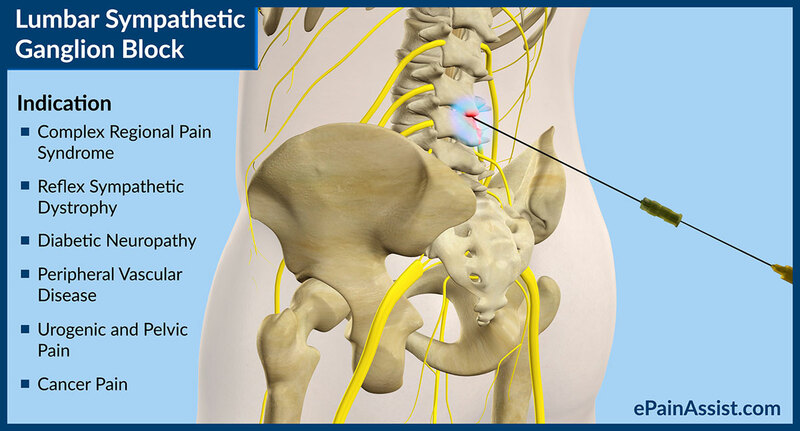 The nerves are located in the back, on either side of the spine.... 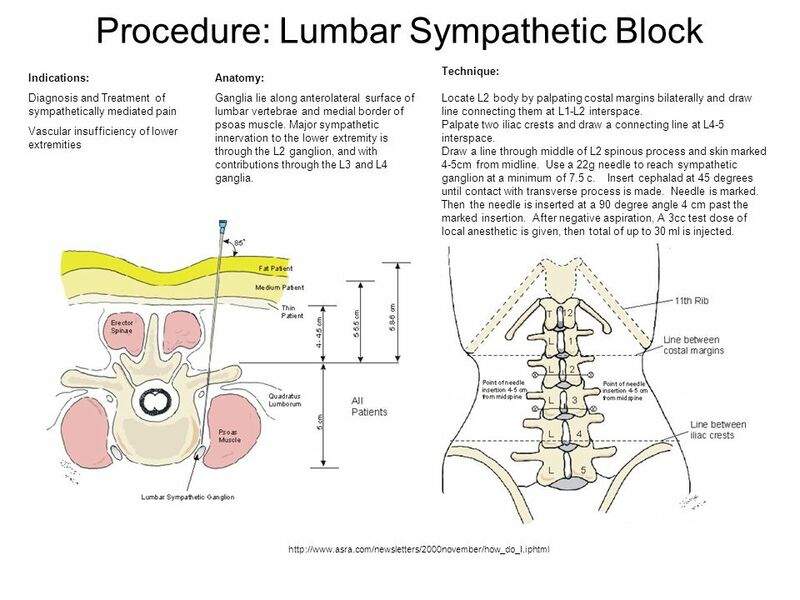 This study was undertaken to determine whether a single-needle technique for lumbar sympathetic blockade at the third lumbar vertebra was practical and what volume of injected solution was necessary to produce a temporary lumbar sympathetic blockade.